Team USA played its first game in the 2011 FIBA U19 World Championships this afternoon, and recorded an impressive win over Egypt, 115-60. After lackluster results versus Lithuania, this was the sort of start that Team USA needed to regain confidence. Michigan sophomore Tim Hardaway Jr. scored seven points and handed out four assists in the win. Hardaway also had a steal, block and a turnover. While Hardaway didn’t start the game, he played 22 minutes and was much more efficient than in previous games where he had drawn some criticism for lackluster shooting numbers. The American squad was led by Doug McDermott (Creighton) with 19 points while Joe Jackson (15), Jeremy Lamb (15), Meyers Leonard (11), Khyle Marshall (10), Anthony Brown (10) and Keith Appling (10) also scored in double figures. Team USA will face Serbia tomorrow morning at 9am eastern time. 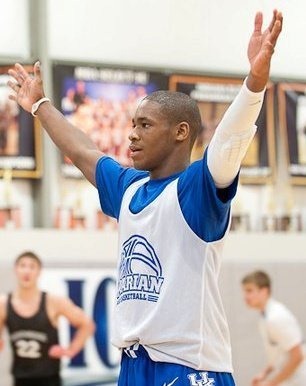 2013 point guard Demetrius Jackson will visit Ann Arbor this afternoon and is very likely on the verge of a Michigan offer. Two weeks ago, Jackson relayed that John Beilein told him he needed to visit campus before “they took the next step”. Jackson boasts a Xavier offer and has drawn heavy interest and taken recent visits to Notre Dame, Indiana and Michigan State. Michigan’s other 2013 point guard targets – Monte Morris and Derrick Walton – both appear likely to wait until August to make their college decisions. 2012 guard Sherron Dorsey-Walker has also been discussed as a point guard option for Michigan and he told us last week that he plans to decide in August as well. There’s also been talk of a potential visit from Mitch McGary, the 5-star big man from Brewster Academy (via Chesterton, IN). 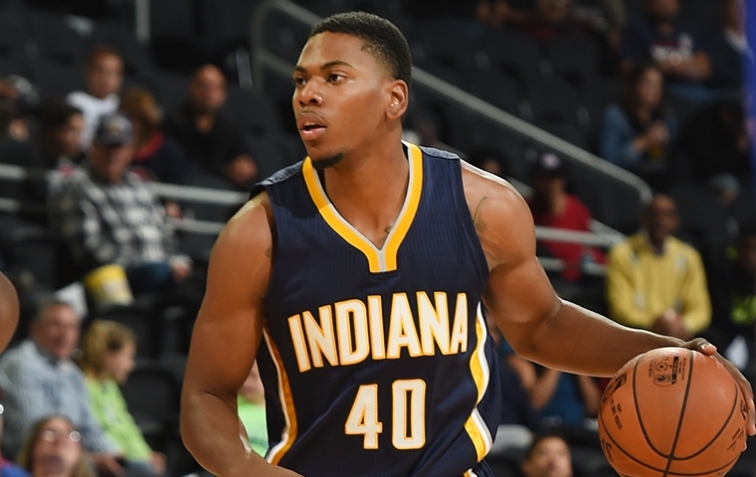 McGary’s AAU teammate, and Michigan commitment, Glenn Robinson III has been working him to get a visit, most recently tweeting this: “Excited to be up here with my Michigan fam again… Shoutout to my bro, could be comin here with me.” Despite the connections to the program — Robinson and also Zack Novak, a former Chesterton teammate – there is a long way to go in McGary’s recruitment. He is being recruited by almost every major school across the country and most likely won’t make a decision any time soon. We can hardly express how touched we are by the outpouring of loving thoughts and support for Austin and for the family. He is still stable but critical. Please continue to channel your strength to him through prayer. We all would have loved to hear positive news, but no news is also much better than bad news. You can send words of support to his Caring Bridge page here. Zak Irvin visited Michigan yesterday and the Wolverines remain in a great spot in his recruitment. Despite rumors that Irvin was on the verge of committing, it would be shocking if he verballed anytime before the end of the July. 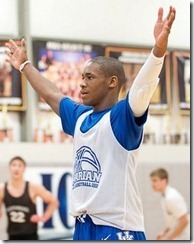 Darius Morris will be featured in a special edition of The Journey (BTN) that will air at 8 p.m. ET on July 4th. You can see a preview clip here. Josh Bartelstein will blog again this year. Drew Cannon examines recruiting geography at Basketball Prospectus. John Beilein posted some new construction pictures on his website. Related Items:Demetrius Jackson, Tim Hardaway Jr.